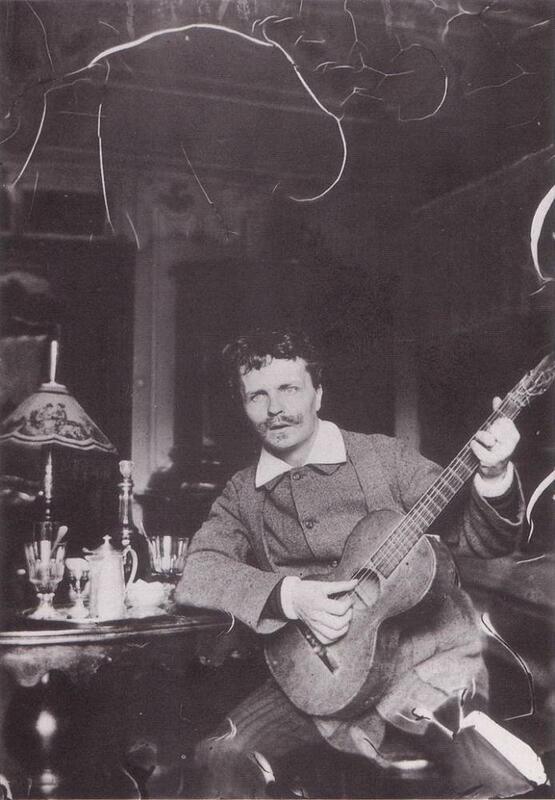 August Strindberg was an extremely prolific writer of poetry, plays and books on a variety of subjects. 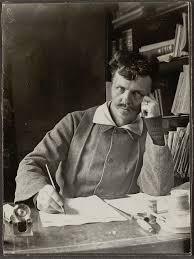 Over a period of some forty years he wrote in excess of sixty plays and thirty books covering such topics as politics, history, Swedish culture, autobiographies and some fiction. He was also an accomplished artist. His style of writing has been described as iconoclastic and boldly experimental. He adopted surrealist and expressionist methods in both his poetry and his play writing and he is often called the father of Swedish literature. Published in 1879, The Red Room is acknowledged as being the first modern Swedish novel. 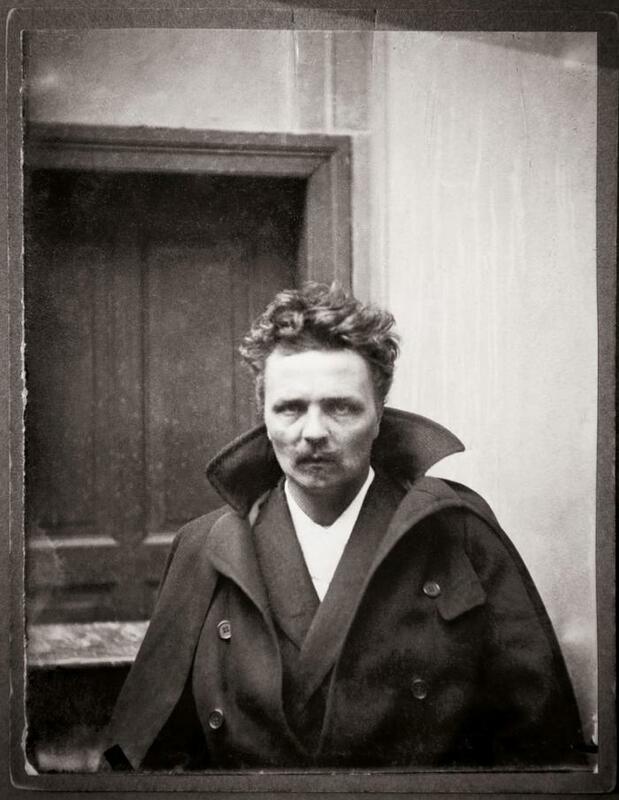 He was born Johan August Strindberg on the 22nd January 1849 in Stockholm, Sweden. His father was a shipping agent and his mother a serving maid and Strindberg portrayed his upbringing in an autobiographical novel called The Son of a Servant. It was a difficult childhood, full of insecurity and blighted by poverty. The family moved often, which of course severely disrupted the young boy’s education. 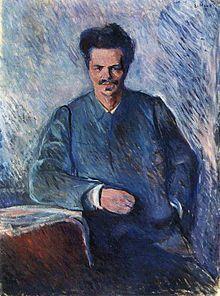 He was only really happy at the Jakob school (in 1860) and then the Stockholm Lyceum where he studied for six years. He was certainly an able student and had a keen interest in religion, natural sciences and photography and was able to go on to study at the Uppsala University. During his studies there he did a little private tutoring and also had a part time job with a pharmacist. On graduation he became a teacher for a while and also continued his scientific studies, hoping to become a doctor. He soon turned to the theatrical world though and worked as an extra in a Stockholm theatre. He was trying hard to get his plays accepted and it took until 1881, when he was 31 years old, for his first breakthrough. From then on he had considerable success in getting his work performed on stage. He developed a great interest in the occult and was also intrigued by the ideas of Charles Darwin. He often felt the need to challenge traditional values and this occasionally led him into trouble. 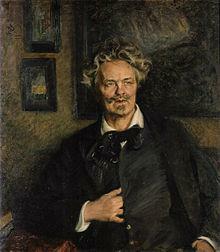 For example, in 1884, his collection of short stories which he called Getting Married resulted in a trial for blasphemy. He was acquitted but his attempt to portray women in an egalitarian light clearly ruffled establishment feathers. He worked for a time as a journalist but writing poetry and plays was his primary motivation although, for a time, he turned away from this area preferring, instead, to write about scientific topics and naturalism. By the 1890s though he became disenchanted with this and turned his attention to the new movement of symbolism, and he also took an interest in transcendental matters. It is said that he experimented in drugs and entered a state of severe paranoia for a while. 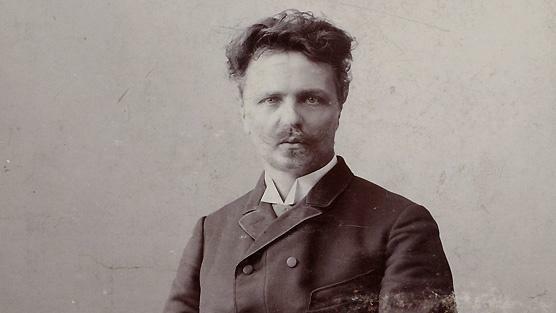 He had been living in France for a while but, in 1899, he returned to Sweden with ambitions to become the Poet Laureate of his country. 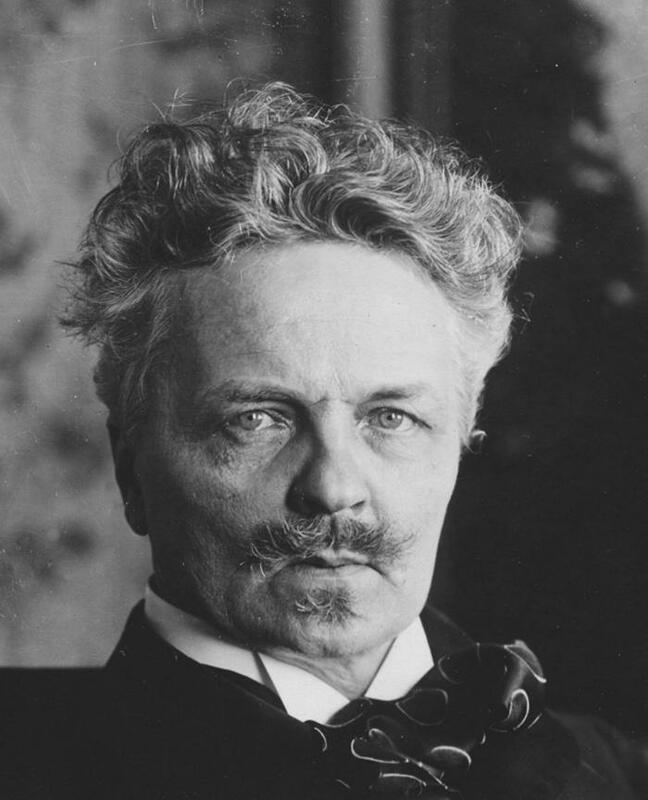 Strindberg was a nominee for the 1909 Nobel Prize in Literature but he lost out to another Swedish writer, the first woman to win the award. He was best known for writing plays and, ironically, his first big break in the United States came just before his death. 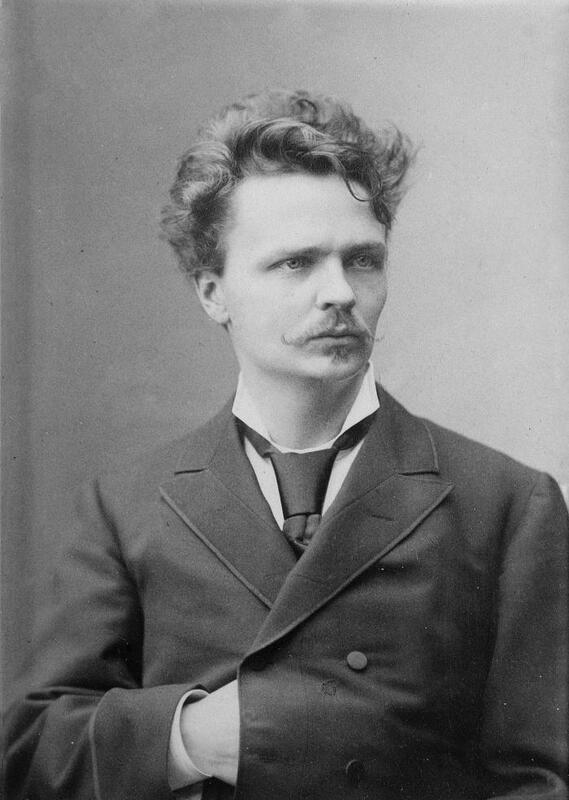 The Father was staged in New York in April 1912 but Strindberg was already gravely ill with pneumonia, an illness contracted during Christmas 1911. This and a stomach disease (possibly cancerous) were too much for him and he died on the 14th May 1912, aged 63. 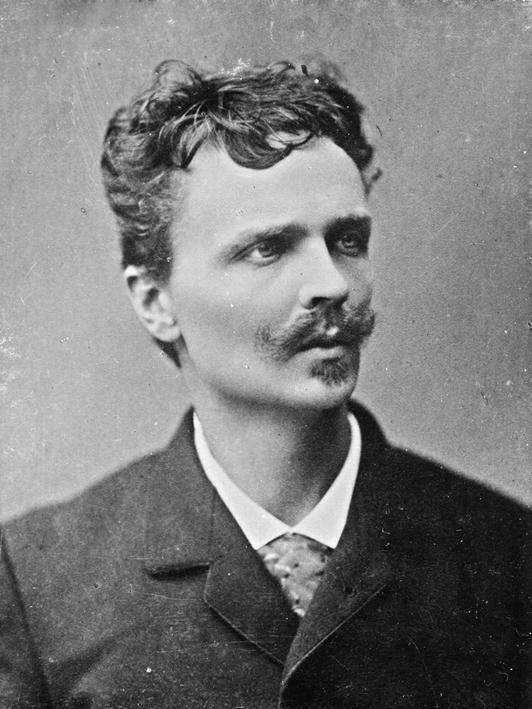 Such was the popularity of August Strindberg in his home country that some 60,000 people followed his funeral procession in Stockholm.